This edition contains the English translation and the original text in German. 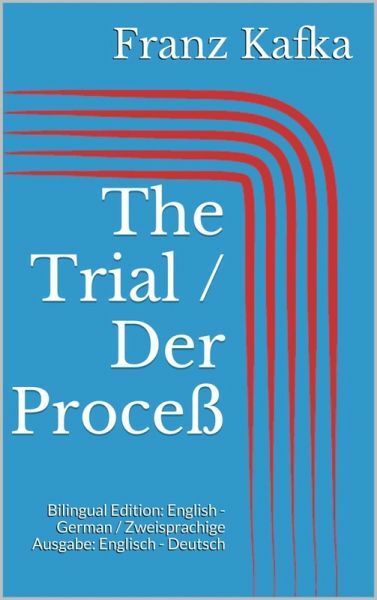 "The Trial" (original German title: "Der Process", later "Der Prozess", "Der Proceß" and "Der Prozeß") is a novel written by Franz Kafka in 1914 and 1915 but not published until 1925. One of Kafka's best-known works, it tells the story of a man arrested and prosecuted by a remote, inaccessible authority, with the nature of his crime revealed neither to him nor the reader. Like Kafka's other novels, "The Trial" was never completed, although it does include a chapter which brings the story to an end. Because of this, there are some inconsistencies and discontinuities in narration within the novel, such as disparities in timing. After Kafka's death in 1924 his friend and literary executor Max Brod edited the text for publication by Verlag Die Schmiede. The original manuscript is held at the Museum of Modern Literature, Marbach am Neckar, Germany. In 1999, the book was listed in "Le Monde"'s 100 Books of the Century and as No. 2 of the Best German Novels of the Twentieth Century. "Der Process" (auch "Der Prozeß" oder "Der Proceß", Titel der Erstausgabe: "Der Prozess") ist neben "Der Verschollene" (auch unter dem Titel "Amerika" bekannt) und "Das Schloss" einer von drei unvollendeten und postum erschienenen Romanen von Franz Kafka.